Plants for the Oregon Cactus & Succulent Society "Succulent Plant Expo 2016"
Not much compares with these echinocereus flowers! 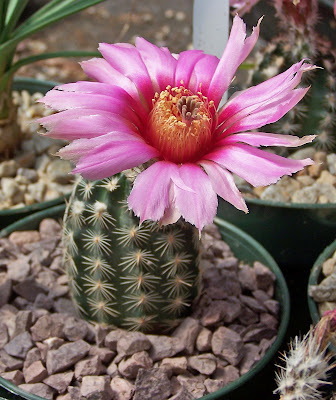 We're gearing up for the Oregon Cactus & Succulent Society Show and Sale in July (July 15-17). As in previous years, it will be at Portland Nursery on Stark Street in SE Portland. Following are some pictures of some of the plants which will be available (and there will be multiple vendors.